Does the type of water I use matter in making my coffee? There are different schools of thought on this question and opinions will vary. However, most agree the best advice is to use bottled water or water that has been run through a filtration system of some type. Softening of the water will remove a portion of the unwanted hard minerals and additives that will spoil the taste of your coffee. Occasionally, Osmosis water purification systems can cause readability problems for the water sensing devices in an espresso machine. This could result in a sensing device not being able to read the temperature of the water, or the level of water inside you boiler, etc. Consult your owner's manual or contact the manufacture of your machine to find out if this is the case. 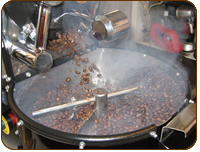 Distilled water can cause the same readability problems in some espresso machines too. And, most agree that coffee or espresso made with distilled water doesn't taste as good as bottled or filtered water, because all of the minerals have been removed from it. Distilled water tends to have a "flat" taste or very little taste at all. Consult your owner's manual or contact the manufacture of your machine to find out if this is the case. 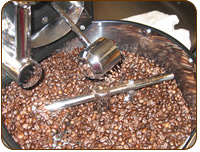 How much ground coffee is best to use for each cup of coffee in a drip coffee system? A good starting point is to refer to the owner's manual for your drip machine. If unsure, I would follow the manufacturer's recommendations as a starting point. Or, if you like your coffee stronger, start with one rounded tablespoon of coffee for each cup of water. Another method would be to use a given amount of water(in ounces), based on the number of cups you intend to drink at a setting, and start with one rounded tablespoon of coffee for each cup of coffee you're making and weigh that. This would be your starting point. From here continue with the fixed amount of water and either increase or decrease the ground coffee based on your taste preferences. Our recommendation is to use an unbleached coffee filter as well. Whole Foods, Trader Joe's and most large supermarkets offer unbleached coffee filters; be sure to read the packaging before purchasing. If you have any questions regarding an item when shopping, please call us before you make the purchase. To make your shopping decision easier, we are happy to assist so that you may make an informed decision. All of the merchandise offered by Espresso Emporium is carefully selected and considered to be the best. Upon receiving the merchandise, all items must be check for damage, shortages or errors within 7 days from the delivery date. Merchandise that we have shipped in error, will be replaced without additional shipping charges. We will pay for the return shipping only if the shipment of the wrong item was our mistake. Claims for shipping damage will be according to the regulations as set forth by the Carrier. Present carrier services are with UPS; www.ups.com and the US Postal Service; www.usps. Claims for damage must be made to the Carrier and a claim number obtained for all future follow up with the Carrier. If present when the item is delivered, and there is visible damage to the package, our recommendation is to have the damage noted on the delivery receipt before the driver leaves. Espresso Emporium cannot be responsible for what the Carrier does, therefore, we will not process or follow up on claims for damage against the Carrier. Please inspect all packages immediately upon receiving. For orders over $100, we will accept a wire transfer or PayPal only. Please contact us at 925-980-8482 or ken@EspressoEmporium.com if you have any questions. Espresso Emporium ships all orders via UPS ground (www.ups.com) or through the USPS (www.usps.com). We will try to ship your merchandise within the next business day after you order if the item is in stock. Should there be a delay we will let you know immediately. A tracking number will be provided to you if UPS is used. The USPS does not use outbound tracking numbers (items being sent to you). At this time we do not ship outside of the continental of the United States.